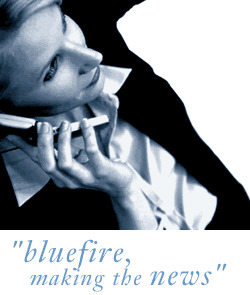 Bluefire Consulting | Planning & Scheduling Manager : planning scheduling coordinator engineer constuction storage logistics "supply chain" distribution operations manager works resourcing resourcer timetable purchasing "stock control" "just in time"
Job Title:Planning and Scheduling Manager Salary:£26k - £31k (dependent upon experience) plus £3k bonus, holiday accrual Location:Milton Keynes If you are a self-motivated, numerical person with works scheduling experience this is a great opportunity to join a growing SME, dealing with large public and private sector contracts, who are focused on staff development. If you are a self-motivated, numerical person with works scheduling experience this is a great opportunity to join a growing SME, dealing with large public and private sector contracts, who are focused on staff development. As a successful Planning and Scheduling Manager you must be able to demonstrate previous experience of a similar scheduling position ideally within a logistics, engineering or construction environment. Highly numerate, self-motivated and confident to take ownership of any projects that come in you must have excellent organisation and communication skills. Owing to the inventory systems currently in place you must have a comprehensive understanding of MS Excel. This position is very fast-paced and owing to clients timetables work plans are constantly fluctuating. As a result you need to happy to make independent decisions for yourself and your team, taking into account the best outcomes for both the client and your organisation. Our client is a well-established SME specialising in storage solutions mainly for retail and public sector accounts. They are currently undergoing a period of growth and owing to this expansion have created the Planning and Scheduling Manager role to cover the extra workload. The company prides itself on providing the highest standard of service possible and as a result invest a lot in their staff to ensure they can deliver this. We need to fill this role ASAP so if it sounds like you click "apply" now! planning scheduling coordinator engineer constuction storage logistics "supply chain" distribution operations manager works resourcing resourcer timetable purchasing "stock control" "just in time"